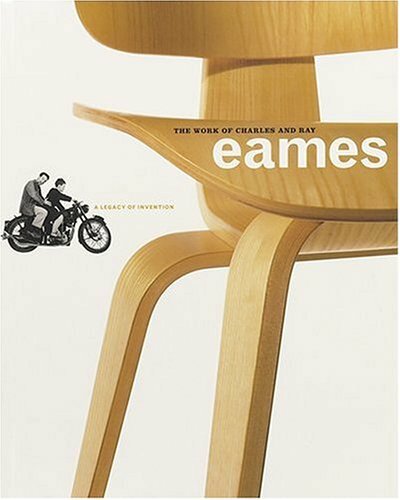 Amazon.com Published on the occasion of a major international traveling exhibition organized by the U.S. Library of Congress and the Vitra Design Museum in Weil am Rhein, Germany (holders of the two richest Eames collections in the world), this comprehensive volume is a testament to the Eameses' belief that good design could improve people's lives. From the 1940s to the 1970s, the prolific husband-and-wife team of Charles and Ray Eames designed furniture, buildings, exhibitions, and interiors, and made films. They are perhaps best known for the form-fitting chairs that were mass-produced using the same techniques the Eameses developed in their first apartment. Taking a multifaceted approach to their multifaceted careers, this comprehensive, clothbound volume with French folds includes a filmography, making clear the pair's profound influence on the visual vernacular of the 20th century. --This text refers to the Hardcover edition.